Actos, a type 2 diabetes medication that has been linked in some studies to an increased risk of bladder cancer, is now suspected of raising the risk of other types of cancer as well. In addition to the much publicized Actos side effects to date, emerging research has determined that the diabetes drug could increase the likelihood of developing both pancreatic and prostate cancers. The 10-year study used three large databases containing information on nearly 200,000 diabetes patients to compile findings. The research was conducted by James D. Lewis, MD, and colleagues of the Center for Clinical Epidemiology and Biostatistics at the University of Pennsylvania, in conjunction with researchers from Kaiser Permanente. The results were published in the July 21 edition of the Journal of the American Medical Association. 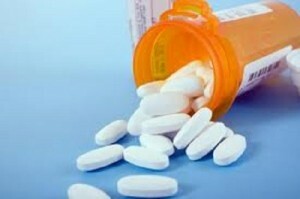 The risk of pancreatic cancer increased by around 41 percent when patients took Actos, according to this study. Risk of prostate cancer also increased by 13 percent. Unlike earlier Actos studies, this study did not find a significant risk of bladder cancer associated with Actos use. However, researchers warned there was still a slight increase in bladder cancer diagnoses in this study when patients used Actos for four years or less. The findings did not predict the risk of bladder cancer in patients that took Actos for more than four years. This new study comes just months after Actos manufacturer Takeda agreed to settle more than 8,000 lawsuits alleging use of the drug had led to bladder cancer diagnoses. The company did not admit liability in the settlement agreement, but stated they simply chose to settle cases to “reduce the uncertainties of complex litigation.” The Actos settlement is poised to take effect as long as a minimum of 95 percent of the plaintiffs involved in coordination agree to the terms. Actos has become a big seller for Takeda since it went on the U.S. market in 1999. Since that time, more than 100 million prescriptions have been written and sales of the drug have exceeded $24 billion, according to numbers in at least one of the Actos lawsuit filings. However, reports of bladder cancers linked to the drug have led some Actos users to court, claiming Takeda failed to provide proper warning about the risks associated with their drug. As complaints alleging life-threatening Actos side effects continued to be filed, federal litigation was coordinated into multidistrict litigation in U.S. District Court for the Western District of Louisiana. Multidistrict litigation is assigned when there are a growing number of cases filed with similar statements of fact, for the purpose of streamlining early trial proceedings. Now Takeda has agreed to settle many of those Actos lawsuits before they go to trial.